The total number of manufacturing jobs brought to the U.S. from offshore is now over half a million since the manufacturing employment low of 2010, providing strong evidence that jobs can continue to be successfully brought back. 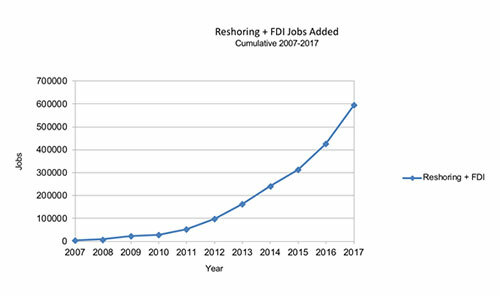 Industry Week's "Reshoring is on the Rise: What it Means for the Trade Debate" discusses how reshoring can lower the trade deficit. A recent report favors the U.S. drive for increased competitiveness. 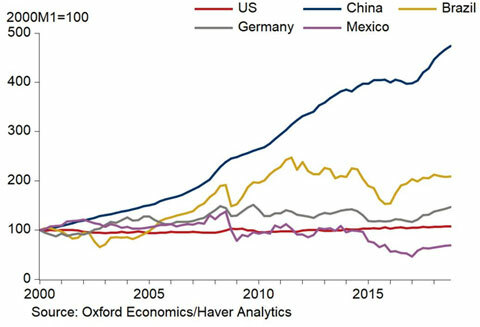 Research by Oxford Analytics shows Chinese indexed unit labor costs rising rapidly again after several years of stagnation. See the Newsletter Supplement for related articles on trend topics, including: U.S. tax cuts to increase German investment in U.S. by 39 billion Euro; problems with import overhead and currency fluctuations; and the impact of trade on U.S. manufacturing. Competitiveness Toolkit: Enables the government to select the optimal national policies to bring back a desired number of the five million offshored manufacturing jobs. Manufacturing Reshoring Survey: Results will be released by mid-May. You can then visit this blog to find out: (1) why companies produce and source so much offshore; (2) how big the price gap is, U.S. vs. offshore; and (3) what national and corporate policy changes are needed to make more reshoring viable for individual companies. 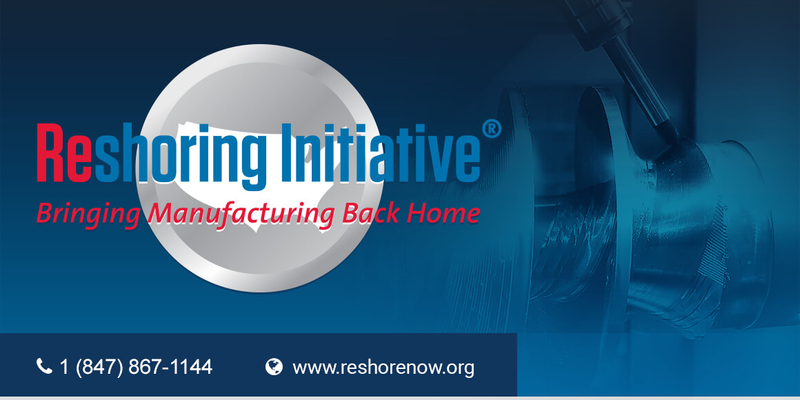 Second National Reshoring Award: Submit your reshoring case. The 2018 Award competition is sponsored by PMA (Precision Metalforming Association) and the Reshoring Initiative. We can help you reshore now, in time to meet the September 1, 2018 deadline. The Reshoring Initiative would like to have similar Reshoring Awards for other industries. Contact us with ideas.